London’s live music venue, indigo at the O2, is the first venue in the UK to install a permanent, integral MDG ATMe AR (Auto Refill) haze system. Country to Country – MDG Auto Refill Haze System at work on the Country to Country Festival at indigo at the O2. © Luke Dyson. The ATMe AR system consists of a remote 25lt pressurised fluid reservoir (PFR) and 47lt CO2 vapour supply that automatically feed two MDG ATMe AR haze generators rigged at high level within the venue. The remote PFR and gas supplies are situated outside the building in easily accessible sheltered locations for quick and easy maintenance and restocking, without the need to access the ATMe AR generators in the rig. The two ATMe AR haze generators are both rigged at height on truss mount brackets – one in the roof of the auditorium and one above the stage right wings – and only accessible with a ladder. The MDG ATMe AR system was designed by MDG, supplied by AC-Entertainment Technologies and installed by the resident team at indigo at the O2. The system uses non-corroding brass connectors and plastic semi-rigid pipework for maximum durability and ease of installation. “The installation was a doddle!” says Burrows. “It took us just four hours in total - two hours to install the pipework and the rest to hang the machines. MDG designed a bespoke system to meet our requirements and it arrived ready to install from AC-ET. We just cut the pipes to length, installed and connected them using the push-fit connectors which were so quick and easy. Burrows is also happy with the amount of coverage delivered by the two ATMe AR generators which cover the stage and auditorium areas evenly from top to bottom without the aid of fans. Fluid consumption has proved exceedingly economical as the AR system was installed in March and, seven months later, has yet to be refilled: “I’ve just ordered 20lts more fluid, but mainly so we have some in reserve for the busy period coming up. MDG is very happy to announce that Nicolas Duhamel has returned to the company as Marketing Director and European Business Development, with immediate effect. In his new role Duhamel will be responsible for all MDG’s marketing activities worldwide and the central point of call for our European distributors, as well as seeking out new opportunities to develop the MDG brand across Europe. Duhamel had previously spent two years at MDG in the head offices in Montreal, Canada. During this time he oversaw the updating of the MDG marketing resources including the creation of the new website. After returning to his native France in 2016 to take up a position in event management, he has returned to MDG in this full time role. "Nicolas never left us completely as he continued to look after our marketing part-time, so we are delighted to welcome him back to the MDG Family full time,” says MDG President & CEO, Martin Michaud. “Nicolas has played an important part in the MDG story over the past five years, and with his experience and passion for the brand, I have no doubt that he will do so again in the years to come. There are exciting times ahead for MDG." "Atmospheric effects have been a real passion for me and, since I first saw MDG products in February 1996, it was my dream to work for this amazing company that has so much history,” says Duhamel. “Working with these talented people over the years has been a great pleasure, and I'm thrilled and honoured to be able to come back and see that dream continue to the next stage." Nicolas will be based in the south of France. English grime artist, Stormzy, headlined the Saturday main stage in spectacular fashion at this year’s Wireless Festival in London’s Finsbury Park. 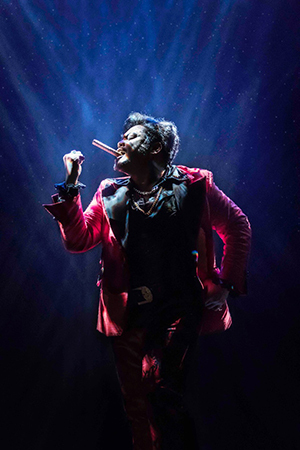 The London-born superstar performed in a full, bespoke production of mammoth proportions in 6 acts, created by Bronski and Amber Rimell of Tawbox. 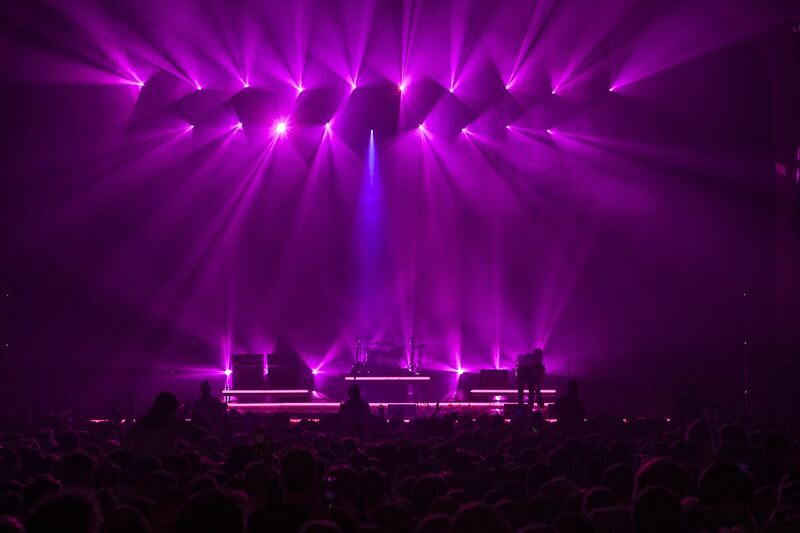 It was clear that lighting designer, Tim Routledge, would need a giant-sized fog generator when lighting Stormzy’s iconic set, and specified two MDG Me8 fog generators to take on the job. The biggest of MDG’s Me Series of fog generators, Me8™ is an 8-output monster capable of pumping out a massive 800m3 of fog per minute. Stormzy’s vision was to create a truly memorable festival show that pushed the boundaries and would be talked about for years to come. 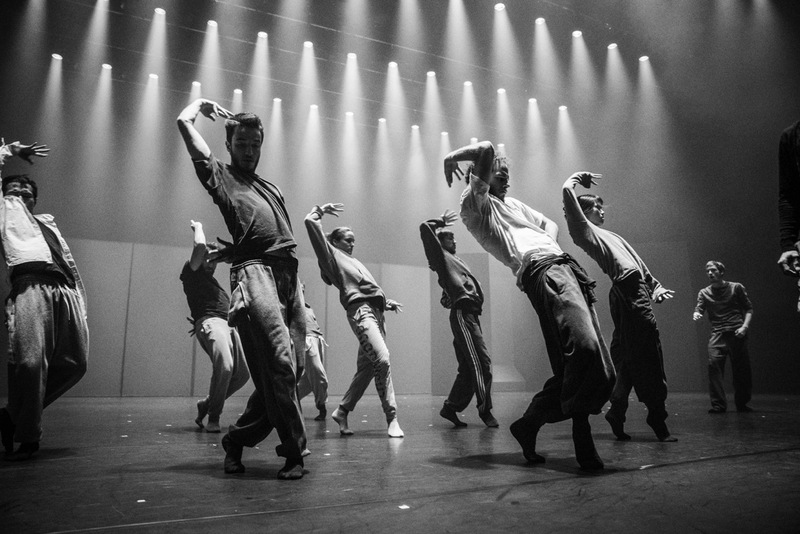 Everything was to be supersized in a huge production that was unprecedented in a festival, and which ultimately involved 48 crew, 75 performers and 6.5 trucks of equipment. Like all members of the Me Series, Me8 benefits from a 1% - 100% variable fog output that can be controlled directly from a lighting console or via local control, a 100% duty cycle that guarantees high-quality, consistent fog at all levels of output, and MDG’s famous Automatic Purging System™ (APS™). Numerous control options are on-board as standard and include 3 standard USITT DMX512 channels, XLR-5 connectors, a 4-button LCD user interface and RDM compliancy. Designed primarily for large-scale applications, both indoor and out, and destined for huge venues and stadia, Me8 is also perfect for fire fighter and military training, ventilation testing and special effects for movies. Formed only in 2015, The Hunna is 4-piece English rock band whose career is sky-rocketing. Their debut album, 100, was released in August 2016, and is soon to be followed by their second album, Dare, in May 2018. The hard-working band kicked off 2018 by performing six back-to-back gigs in UK O2 academies in early January in support of the new album. 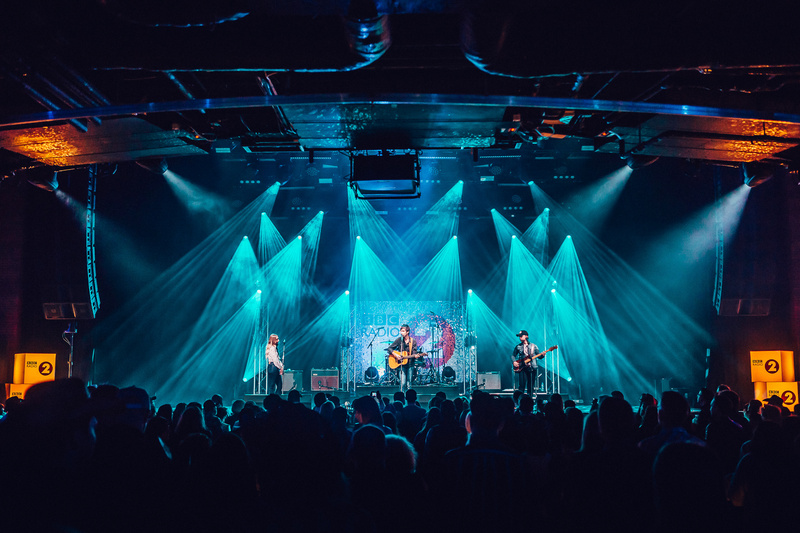 Travelling with them was lighting designer, Tom Campbell, who chose MDG’s ICE FOG Compack™ low fog generator and an ATMe™ haze generator to provide the band with the right mix of atmospheric effects to guarantee they, and his lighting, would be seen to best advantage. MDG’s ATMe is a single, high output haze generator which has evolved from the long-standing industry favourite, the ATMOSPHEREAPS, to become the industry standard for today. Campbell has worked as freelance lighting designer for ten years, starting out in theatre before moving to live music and lighting the likes of Zeds Dead and Bullet for My Valentine amongst many others. In 2015 he received a Knight of Illumination Award in the Club Category for his design for Anna Calvi and The London Heritage Orchestra. He joined Mirrad, a collective of like-minded designers, in September 2017. MDG’s ICE FOG Compack creates a thick low-lying fog, with no residue, without the use of dry ice and is cased in its own self-contained flightcase on wheels for easy transport and touring. 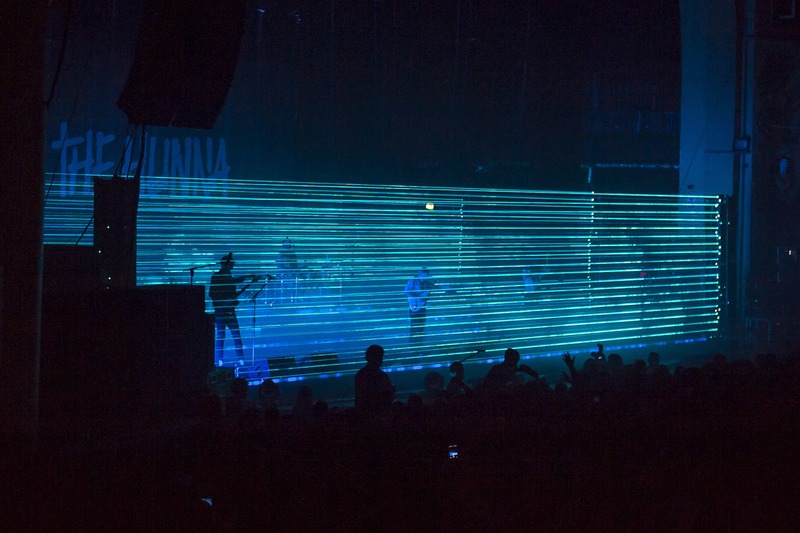 Both MDG’s ICE FOG Compack and ATMe haze generator were supplied by London-based Colour Sound Experiment, under the project management of Alex Ryan, as part of the full lighting package. 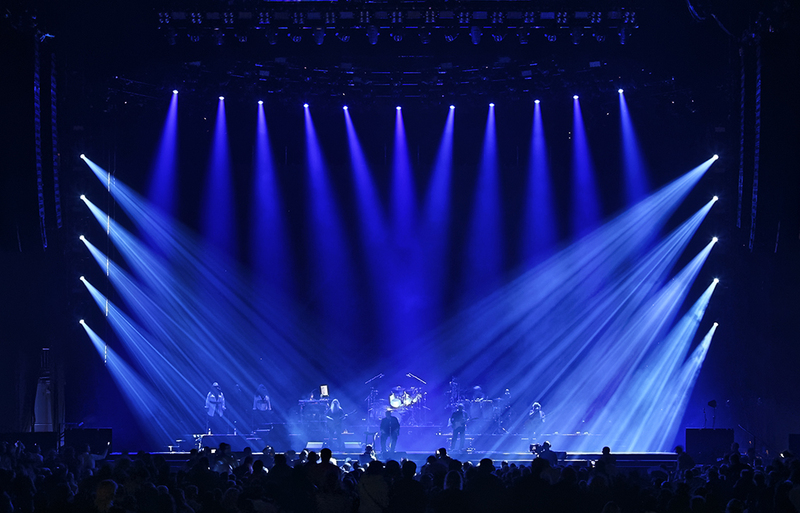 When it comes to some of the biggest names in the business, performing at some of the largest stadiums and venues across the globe, MDG know a thing or two about providing the perfect haze and atmosphere - for both the lighting and the artists. Stellar artists Adele and Phil Collins both engaged the design services of Patrick Woodroffe who, in collaboration with Roland Greil, both from renowned design practise, Woodroffe Bassett Design, produced some stunning shows for their latest tours. 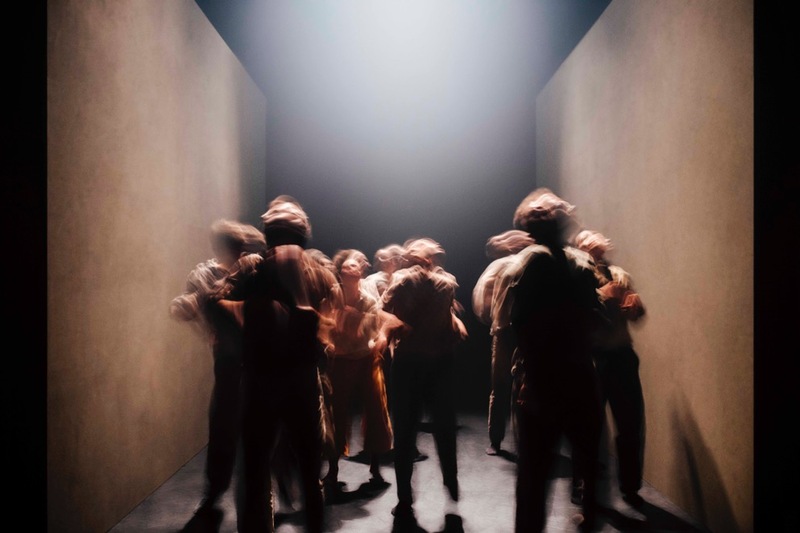 On each production, Greil took on the mantle of associate lighting designer, lighting director and operator so has a unique perspective on the role and delivery of haze and fog across a wide spectrum of environments and venues. Woodroffe and Greil specified two different types of MDG machines across three tours in all: Adele’s LIVE 2016 tour and Phil Collins’ Not Dead Yet tour both employed MDG’s theONE dual fog and haze generator, while Adele’s LIVE 2017 tour made full use of 8 of theONE machines and 2 MDG ATMOSPHERE APS haze generators. Adele’s LIVE 2017 Stadium tour has been a global progress visiting some of the biggest stadiums in the world. It followed on from the 2016 Adele LIVE Arena tour which featured more indoor venues, and for which three of MDG’s theONE generators were chosen. These were easily able to handle the indoor requirements, showing off to best advantage the symmetry of Woodroffe’s lighting design that worked so well with Es Devlin’s impressive set design. But for the stadiums visited in 2017, and the challenge of a new 360° show, Greil needed more. Add to the mix an artist who is not the biggest fan of any kind of haze or fog and Greil knew he had to think carefully about which haze and fog generators to use to ensure the best result for lighting and performer, and turned once again to MDG. MDG’s Atmosphere APS has long been recognised as producing the finest haze combined with the longest hanging time and, of course, being virtually silent it was clearly exactly what Woodroffe and Greil were looking for to produce a steady source of near-imperceptible haze. His only bête noir was the challenge presented by the wind, as he explains: “If you are doing an in-the-round stadium show, you are literally open to wind from every side with no protection at all, so it can be a little difficult to maintain a look. For the stadium tour therefore, we hung the ATMOSPHEREs in the mother grid, so we had fog or hazers in every possible position to enable us to react to the wind conditions. The output control of theONE proved very helpful when the elements were against us. All MDG theONE and ATMOSPHERE APS generators were supplied for each tour by UK-based Neg Earth Lights, which also supplied 4 MDG theONE for Robbie Williams’ The Heavy Entertainment Show tour at the specification of show and lighting designer, Mark Cunniffe. These rock-solid machines continue to cement MDG’s long-standing reputation for the finest and most reliable atmosphere generators on the market. The ATMe™ haze generator, the ME2™ fog generator and the ICE FOG COMPACK™ low fog generator will be shown on Stand D50, alongside theONE™ award-winning dual fog and haze generator, and complemented by theFAN™, the indispensible variable speed digital fan. MDG’s ATMe™ haze generator is a development of the industry standard MDG Atmosphere™ haze generator. It shares the same compact dimensions, but with increased output and power efficiency, and the added advantage of DMX-RDM controllability. An optional portable carry kit sets a new standard in portability by allowing ATMe’s gas canister to be stored securely beneath the generator. From this position it can be operated horizontally without the gas line freezing to generate haze exactly where you want it. The dual output Me2™ fog generator will be representing the Me™ Series, the latest in MDG technology, which brings a higher degree of controllability and a more powerful output to the MDG family. With each model sporting DMX-controlled variable fog output, the Me Series is available in four sizes: Me1, Me2, Me4 and Me8. MDG’s ever-popular ICE FOG COMPACK HP is a self-contained low fog generator housed in its own flight case. It creates a thick, low-lying fog with zero residue without the use of dry ice. ICE FOG COMPACK has an extremely low fluid consumption, 100% duty cycle and a variety of accessories including DMX interface, remote control timer, and the new Round Floor Pocket and D-Verter multiple input/output fog switcher. theONE™ is MDG’s award-winning, dual fog and haze generator which was awarded LDI’s Best Debuting Product Award on its launch. This reliable workhorse is equally at home in arenas, stadiums, theatres and themed attractions where its output and density can be finely tuned to suit the size and atmospheric conditions of any size of venue, and satisfy all designers’ aesthetic requirements. This summer it has been seen on tour with the likes of Robbie Williams, Adele and Phil Collins, as well as on theatre productions including 42nd Street at London’s Theatre Royal Drury Lane, the UK touring production of Miss Saigon and at RADA theatre school. Last but not least, theFAN™, MDG’s ultra-compact, variable speed, digital fan will be playing it cool and demonstrating how smoothly it operates with any of MDG’s professional generators, or as a stand alone unit. Visitors to the PLASA stand (D50) will have an opportunity to win MDG merchandise in a daily competition. Just blow in and drop your business card off for a chance to win – nice work! To join MDG at PLASA 2017 at Olympia, London on Stand D50 click here to register. 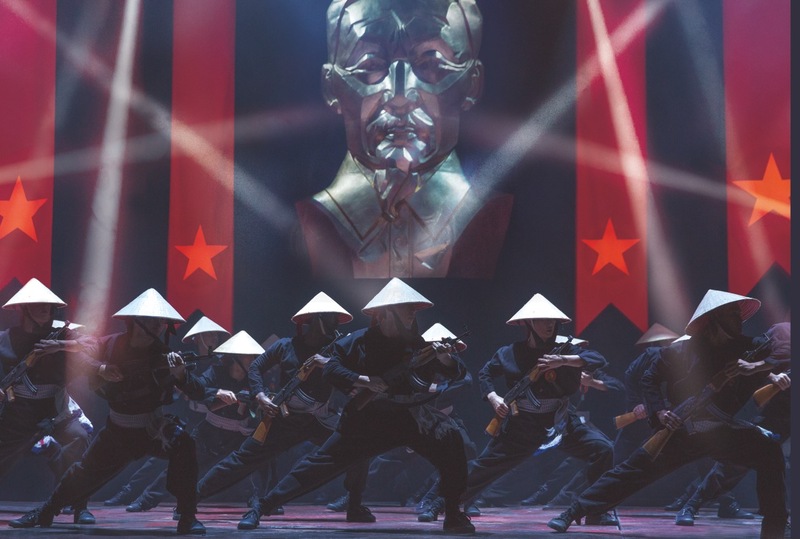 Miss Saigon, Messrs Boublil and Schönberg’s legendary musical, has recently embarked upon a major UK tour, taking the full West End production to every corner of the UK. The show opened at the Curve, Leicester in July before moving to Birmingham Hippodrome, from where it travels to Ireland, Wales, Scotland and back to England, culminating at Norwich Theatre Royal in September 2018. Travelling with the show, with its lighting design by the equally legendary Bruno Poet, are two MDG ATMe haze generators, purchased specifically for the tour by White Light. MDG was happy to see the students of London’s premier drama school, the Royal Academy of Dramatic Art (RADA), taking full advantage of the capabilities of one of its ATMe haze generators during their recent production of Rona Munro’s Scuttlers. Scuttlers was first performed at Manchester’s iconic Royal Exchange Theatre in 2015. It follows the exploits of the city’s first street gangs, set against the background of Manchester’s cotton mills and industrial expansion of the nineteenth century, when the rapidly expanding population, migrating from the surrounding rural communities in search of work, discovered that urban life was not all that they expected. Ruthless exploitation by mill and factory owners, social deprivation and political unrest were to follow. MDG is proud to say that two of its ATMe haze generators have been chosen for the current musical production of 42nd Street at London’s Theatre Royal, Drury Lane. With a theatre on the site for over 350 years, the Theatre Royal, Drury Lane has a heritage and longevity unrivalled even amongst its neighbours in London’s West End. Its present incarnation, a mere couple of centuries old, boasts a depth of stage that few can offer, making it perfect for lavish musical productions such as the current run of 42nd Street. This latest production, with ‘80’s legend Sheena Easton in the starring role, makes the most of the stage area which is packed with props, sets and a huge cast. It was obvious from the start that a haze generator was required that could easily deal with the enormous stage space, for the entire show, without compromising the performances or the extensive lighting rig supplied by White Light Ltd.
MDG’s ATMe haze generator proved ideal for the job: “I first came across MDG about ten years ago on a show in South Africa,” says Declan Randall, associate LD to 42nd Street’s lighting designer, Peter Mumford. “I was so impressed with the haze that I went backstage to investigate what they were using. I’ve been a fan ever since.” Mumford and Randall opted to use two of the ATMe units - next-step developments from the ever-popular MDG Atmosphere - because of its more efficient power consumption and increased output, which it combines with a high level of controllability. “On a show like this with high production values we could have chosen pretty much whatever we wanted,” continues Randall, “but as far as I’m concerned, MDG is the go-to manufacturer and the one to use whenever possible. “Aside from the energy and output benefits, the ATMe has the added improvement of total 0-100% variable output which you can control via DMX/RDM, and a 100% duty cycle. On 42nd Street the generators are required to run for the entire show, so having machines that can maintain their output consistently is vital. The Theatre Royal stage is set-heavy for this production; the amount of traffic on and off stage with the constant movement of scenery during the show means the decision was made to locate the ATMe generators up on the fly-floor. They are positioned stage left and right, with two DMX fans directing the haze downwards and moving it about. One concern about this trim height location was a possible issue with clogging of fans and filters of the lighting fixtures in the rig, but this has proved to be a needless worry. “This might not being the ideal location, but the hazers are still doing their job and doing well,” says Randall. “To date we have had no complaints from the maintenance technicians! 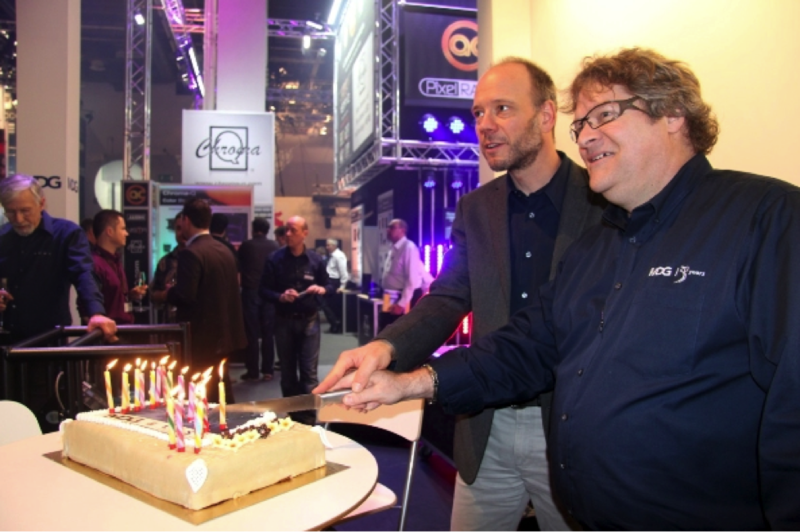 MDG, the leading manufacturer of premiere fog, haze and low fog generators, celebrated its 35th anniversary at Prolight+Sound, Frankfurt with the release of three new fog generators. The Me Series has been designed as the next stage in MDG’s evolution of fog and represents a new family of generators with a higher degree of controllability and a powerful output from a compact chassis. Me1 is the smallest of the Me family with a single nozzle output that can produce up to 100m3 (3,521 ft3) of fog per minute. It is unique in offering a MAX 3000 configuration setting. Me2 is the powerful twin of the Me1, housed in the same size chassis but with twice the power and a dual output of 200m3 (7,063 ft3) per minute. Me4’s powerful quadruple output produces up to 400m3 (14,126 ft3) of fog per minute and is the ideal generator for applications requiring seriously high quantities of fog. All members of the Me Series benefit from a 1% - 100% variable fog output, a 100% duty cycle and MDG’s famous Automatic Purging System™ (APS™). Numerous control options are on-board as standard and include 3 standard USITT DMX512 channels, XLR-5 connectors, a 4-button LCD user interface and RDM compliancy. Having served the entertainment, industrial, fire-fighting and military markets since 1980, MDG has, throughout its history, developed the world-famous MAX Series of fog generators, the ATMOSPHERE haze generator, winner of LDI's Best Lighting Product in 1997, and the award-winning theONE digital atmospheric generator, LDI's Best Debuting Product in 2010. These were followed in 2013 by the e-series range which brought increased efficiency and total electronic control to the product range. The newly released Me Series now takes its place in the prestigious line up, and continues to keep MDG at the forefront of atmospheric effects technology. MDG’s anniversary was also marked by the launch of its brand new website which went live during the show and across all MDG’s social networks. The new trilingual website can be found at www.mdgfog.com and, in addition to the full range of MDG products, also gives an insight into MDG’s history with a comprehensive Museum of past MDG products, many of which are still in operation around the world. 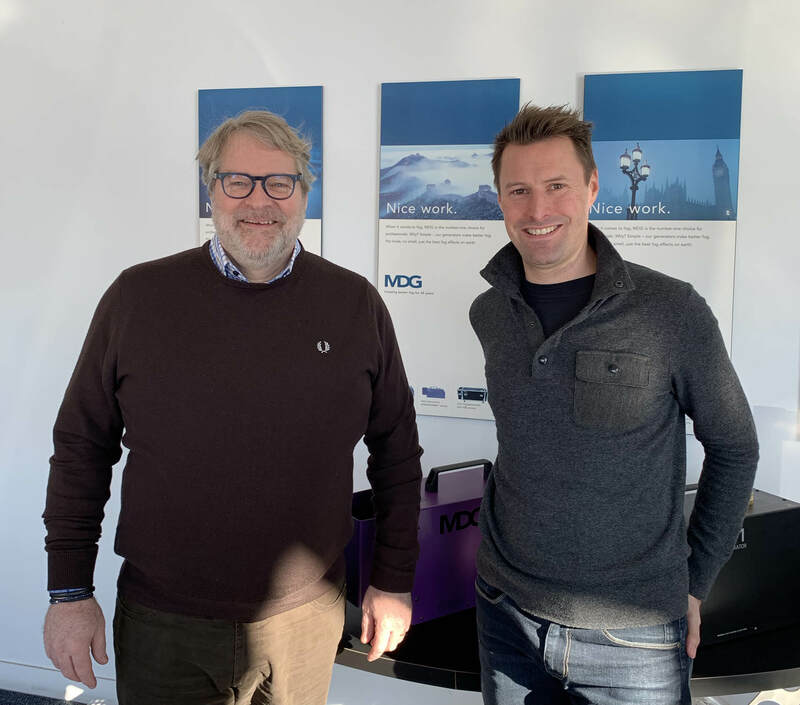 MDG exhibited alongside its German distributors cast C.Adolph & RST Distribution GmbH who, like the visiting distributors and customers, were happy to celebrate 35 years with the world-renowned atmospheric effects specialists. “I – and cast – are really happy and proud to have been able to participate in MDG’s 35th anniversary during this year’s Prolight & Sound,” says cast C.Adolph & RST Distribution GmbH MD, Heinz Siller. “We have represented MDG in Germany for 23 of their 35 years now, after starting together with just one single product and developing the market together. With MDG’s focus on reliability and continuous improvement we now have a wide range of high-end professional products with which to serve the market. MDG, the leading manufacturer of premiere fog, haze and low fog generators, will celebrate its 35th anniversary at Prolight+Sound. Serving entertainment, industrial, fire-fighting and military customers since 1980, MDG will mark the occasion with the release of limited edition models of a brand new product line which are certain to become collectors items. Throughout its history, MDG has developed the MAX Series of fog generators, the world-famous ATMOSPHERE haze generator, winner of LDI's Best Lighting Product in 1997, and the award-winning theONE digital atmospheric generator, LDI's Best Debuting Product in 2010. These were followed in 2013 by the e-series which brought increased efficiency and total electronic control to the product range. Now, Prolight+Sound 2015 will see the launch of 3 new products, the latest in MDG’s evolution of fog which will expand the range still further. MDG’s anniversary will also be marked by the launch of a brand new website which will go live during the show and be reflected across MDG’s social networks. The new trilingual website will be found at www.mdgfog.com. Keep checking the address to see it go live! MDG can be found in Hall 9 Stand E66 alongside its German distributors cast C.Adolph & RST Distribution GmbH (Hall 9 Stand E71). Come along to discover more about the new products and celebrate 35 years of atmospheric passion with the world-renowned specialist! 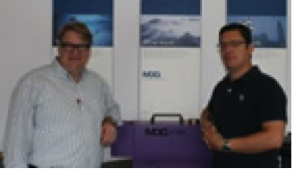 MDG Fog Ltd has appointed two new distributors for its acclaimed range of fog and haze generators. From 1 October 2014, MDGfog UK, a trading division of Robe UK Ltd, will take responsibility for the exclusive distribution of the full MDG product range in the UK & Eire. This new division will be headed by Matt Wiseman, a well-known face in the UK entertainment industry who brings 20 years of experience to the role. The new arrangement follows on from a successful collaboration between MDG and Robe Middle East. Since April 2013 Robe Middle East has assumed responsibility for the exclusive distribution of MDG products across the Middle East with a large market influence in the UAE, Qatar, Saudi Arabia, Lebanon and Bahrain in particular. 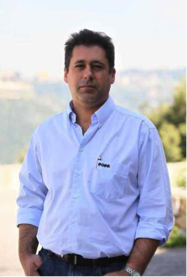 "One year on from the start of our collaboration I can report that the arrangement is a great success with an ever-increasing demand for MDG products across these territories," says Robe Middle East General Manager, Elie Battah. "We carry a full stock of the MDG range in our Dubai offices along with all the consumables to support it. This enables us to offer our customers immediate delivery and a complete support service. "MDG is a high quality brand that fits very well with our Robe line of products. Our customers are very demanding so having MDG on board adds another premiere brand to the line of products we distribute – which all helps to keep them satisfied!" For almost thirty-five years MDG has held a position worldwide as the leading brand of atmosphere generators. MDG atmosphere generators are employed across all areas of the entertainment industry and play a major role in training exercises with the military, firefighters and industrial workers. MDG products can be seen from Broadway to the West End and in almost every continent, appearing in theatre and opera, film and television, themed entertainment and large-scale events, live music and festivals. "MDG is proud to partner up with Robe UK Ltd for the United Kingdom market and Robe Middle East Trading LLC for the Middle East and welcomes both to the MDG family," states MDG President & CEO,Martin Michaud. "Mick Hannaford and Elie Battah's perpetual quest for excellence, their personalized service and the quality of their team and organization reflects values shared by both our companies." MDG will be exhibiting at PLASA London (5-8 October) on the Robe stand where it will show its award-winning dual-mode fog and haze generator, theONE, models from its ATMOSPHERE and MAX series and the ICE FOG Q model. 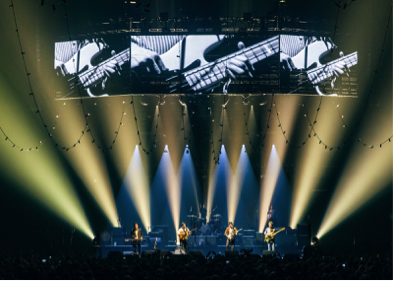 MDG, exclusive distributors of Robe and Chromlech in Canada and manufacturers of industry standard MDG atmospheric generators, provided lighting, fog and haze effects for Mumford & Sons' mammoth 145-date international 2013 tour. MDG supplied fifteen Robe Robin 600 LEDWash and sixteen Robe Robin 1200 LEDWash moving heads, plus a quantity of Chromlech Elidy LED lighting panels composed of 64 Elidy-Wall LED panels arranged in a 16 wide by 4 high video backwall, and 12 Elidy-Big and 12 Elidy-S panels rigged above and behind the band on stage. The tour marks the largest installation of the French lighting manufacturer's new product to date and the first project for MDG to supply with Elidy since its appointment as exclusive Canadian distributor. MDG also provided two of its own, unique dual fog and haze generators, MDG theONE. These were located on either side of the stage to provide a highly controllable output of haze that showed off Ed Warren's spectacular lighting design to perfection. "Smoke and haze suits the band's style really well," says Warren of Next Level Lights who has toured with Mumford & Sons as lighting designer since they started five years ago. "I use a lot of back light and overhead haze, so it's a vital part of my design." "There was a significant challenge to the haze effects in that ninety-five percent of the shows on our tour took place in the open air," continues Warren. "Trying to get a good spread of haze in outdoor conditions can be very frustrating. However, theONE was awesome and was able to provide a really strong haze, even outdoors. Its powerful fans and strong fogging ability kicks out such volume that I didn't even need them to run full time - and they always had plenty left in reserve, even on windy days." "Yet when we played the indoor venues, theONE's controllability meant I could tone down the output to a much finer level which I chose to do using local control via my team on stage. They are very controllable (theONE, not the team!)." "The service from MDG and Solotech was great," says Warren. "Both companies couldn't do enough to help and did a great job in getting the show on the road within a very short timeframe." 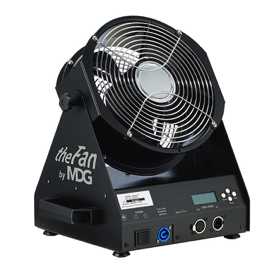 MDG will be returning to LDI, Las Vegas this year (Booth 701) with its latest product, theFAN. Released amid celebrations at Prolight+Sound, Frankfurt in March, theFAN is a digital, fully DMX/RDM operated stand-alone unit. Its appearance at LDI 2012 will mark theFAN's first showing in the USA. theFAN has a very low power consumption of only 100W so benefits from very economical running costs. Nor is it channel hungry: the velocity of its three-bladed rotor is controlled via DMX (1 channel) or RDM, or locally using a discreet 4-button controller with LSC panel on the base of the unit. A surge-protected, universal switching power supply covers the full range of 100V – 240V, 50/60Hz ensuring theFAN can be used anywhere in the world at the flick of a switch. Stylish in design with a 270° tilting head, theFAN is ultra-compact and therefore extremely portable and versatile on tour. And as a final touch, theFAN can be free standing or truss mounted using a variety of fixings (Omega bracket, metric and imperial size clamp sockets) for both on-stage and in-truss use. The result is a versatile, truly universal, free-standing unit that can be partnered with MDG generators or used independently. theFAN is, of course, guaranteed by MDG's standard two-year warranty. Also on the LDI stand (Booth 701) will be the latest version of MDG's revolutionary dual mode Digital Atmospheric Generator, theONE, complete with its highly adaptable touring cradle, the range of Atmosphere Haze generators, the MAX fog generators and the ICE FOG Q low-lying fog generator. theFAN has a very low power consumption of only 100W so benefits from very economical running costs. MDG will be returning to PLASA in London (stand 2-S25) this year with its latest product, theFAN. Released amid celebrations at Prolight+Sound, Frankfurt in March, theFAN is a digital, fully DMX/RDM operated stand-alone unit. theFAN has a very low power consumption of only 100W so benefits from very economical running costs. Nor is it channel hungry: the velocity of its three-bladed rotor is controlled via DMX (1 or 2 channels) or RDM, or locally using a discreet 4-button controller with LSC panel on the base of the unit. A surge-protected, universal switching power supply covers the full range of 100V - 240V, 50/60Hz ensuring theFAN can be used anywhere in the world at the flick of a switch. Stylish in design with a 270° tilting head, theFAN is ultra-compact and therefore extremely portable and versatile on tour. And as a final touch, theFAN can be free standing or truss mounted using a variety of fixings (Omega bracket, metric and imperial size clamp sockets) for both on-stage and in-truss use. The result is a versatile, truly universal, free-standing unit that can be partnered with MDG generators or used independently. theFAN is, of course, guaranteed by MDG's standard two-year warranty. Also on the PLASA stand will be the latest version of MDG's dual mode Digital Atmospheric Generator, theONE, complete with its highly adaptable touring cradle, the range of Atmosphere Haze generators, the MAX fog generators and the ICE FOG Q low-lying fog generator. rolight & Sound 2012 will be the scene of a big celebration for MDG and cast C.Adolph & RST Distribution GmbH as the two companies celebrate a long-standing association. The show marks the twentieth anniversary of MDG's appointment of cast C.Adolph & RST Distribution GmbH as its distributor for Germany, Switzerland and Austria. cast C.Adolph & RST Distribution GmbH promotes the whole range of MDG products across the entertainment, security, fire-fighting and industrial application sectors in these countries. This is backed up by comprehensive support and training roles. High profile installations over the past twenty years have included Legoland Germany (2002) which marked one of the biggest MDG theme-pack installations to use this automatic refilling system and an art installation by artist Olafur Eliason, Innen Stadt Aussen Berlin (2011), where MDG fog generators were used to fill a room with fog to capacity. The fog was illuminated with changing coloured light, obscuring the visitors who were able to immerse themselves in the coloured haze as part of the experience. Outside of the entertainment industry, cast C.Adolph & RST Distribution GmbH has provided customised MDG solutions to the Fire Fighting Training Centre at Andelfingen and the Swiss Air training facilities and a fog simulation system to VW Autostadt, Wolfsburg. 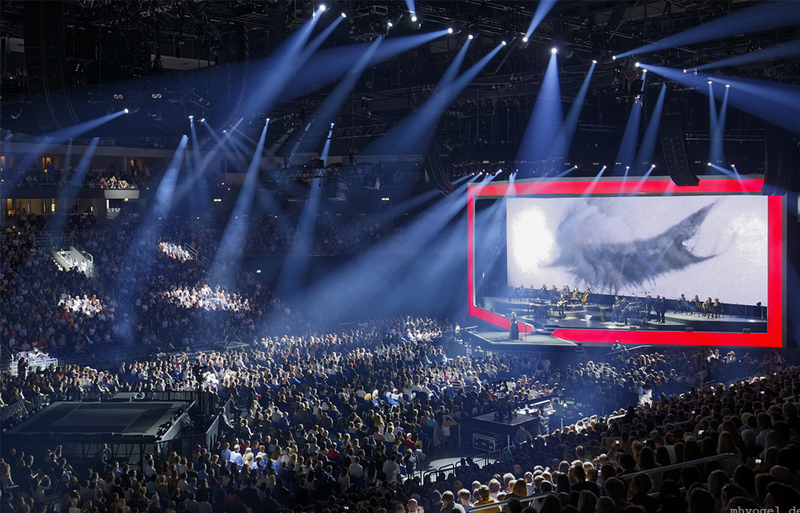 Recent entertainment projects include the Eurovision Song Contest, Düsseldorf which, renowned for its large-scale, high tech productions, used over forty MDG generators including Atmosphere Hazers, ICE FOG and MAX Series. "Most major German television shows will have MDG units hidden on them somewhere!" says cast's Sabine Siller. "All rental companies hold MDG in their stock because they can rely on their quality, durability and performance, especially under live conditions." cast C.Adolph & RST Distribution GmbH Technical Director, Heinz Siller says: "One of our first big projects was to fill the 13km-long Frejus Tunnel under the alps with fog. We did this using MDG Ultra Max and Nema Box generators with such success that frightened Italians were seen running out the opposite end of the tunnel! I have even climbed the Matterhorn with an MDG machine just to show the client they can work even at a height of 3842m. Over the years you come to realise that MDG is not just a good product, it is a versatile solution for many different tasks!" "Partners since 1992, twenty years in Germany in association with the same people and the same company is a real cause for celebration," says MDG's Martin Michaud. "Prolight & Sound is an opportunity to celebrate the journey so far and to look forward to the next twenty years. 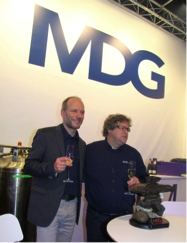 Cast has been fantastic in support of MDG products and the team, led by Heinz Siller, have worked tirelessly to bring MDG to a wide range of customers. Heinz possesses the very first ATMOSPHERE, our flagship product which is the industry standard worldwide. Now, if I could only convince him to give it back…"
At Prolight & Sound, MDG will be displaying the latest version of its revolutionary dual mode Digital Atmospheric Generator, TheONE complete with its highly adaptable touring cradle, theFan, a new digital, fully DMX/RDM standalone fan, the range of Atmosphere Haze generators, the MAX fog generators and the ICE FOG Q low-lying fog generator. Come and visit them on the MDG stand at Hall 9.0 Booth E66 in the cast C.Adolph & RST Distribution GmbH area… where else would they be! At precisely 4pm on Thursday 22 March, in front of a comprehensive collection of the press, a celebratory photo of the MDG team was emailed from the MDG headquarters in Canada to Heinz and Sabine Siller of cast C. ADOLPH & RST DISTRIBUTION as they stood on the MDG stand at Prolight+Sound. The photo showed the staff holding an Inukshuk, a Canadian monument made of unworked stones which represents the energy of stone in a human image, traditionally used by the Inuit for communication and survival. The message read: "MDG is proud and honoured to offer this Inukshuk to cast C. ADOLPH & RST DISTRIBUTION for our 20 years of partnership and many more to come!" That same Inukshuk, having been transported in hand-luggage from Montreal to Frankfurt, was then presented on the stand to Heinz Siller by MDG's Martin Michaud. Michaud explained that, "In modern times, the Inukshuk has become a symbol of brotherhood, mutual aid and solidarity which are precisely those qualities shared by our two companies. It is said the Inukshuk will help the one who receives it to always make the right decision and choose the right path in life. This has certainly proved true in our case as MDG obviously took the right decision to appoint cast C. ADOLPH & RST DISTRIBUTION as our distributor all those years ago. Since then the relationship has blossomed into a valued and extremely successful long term association that means a lot to both companies." cast C. ADOLPH & RST DISTRIBUTION returned the compliment with the presentation of a MDG-branded cake, and champagne with which to toast the occasion. Prolight+Sound proved extremely busy for MDG with theONE and the ICE FOG Q undergoing constant demonstration and a new product, theFAN, released specifically for the show. 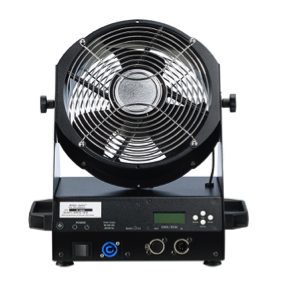 theFAN is a compact, digital, fully DMX/RDM stand-alone unit which offers a universal switching power supply, low power consumption and a choice of mounting options for on-stage and in-truss use. The result is a versatile, truly universal, free-standing unit that can be partnered with MDG generators or used independently. MDG is proud to partner up with AED Distribution for the Belgian and Luxemburg market and welcomes AED Group to the MDG family. Martin Michaud (MDG, President & CEO), Hans Vanderheijden, (AED Distribution, Managing Director), Bart de Smet (AED Rent, Light & Rigging Adviser) and Steven Mansvelt, (AED Rent, Lighting Department Manager) shake hands on the new agreement. 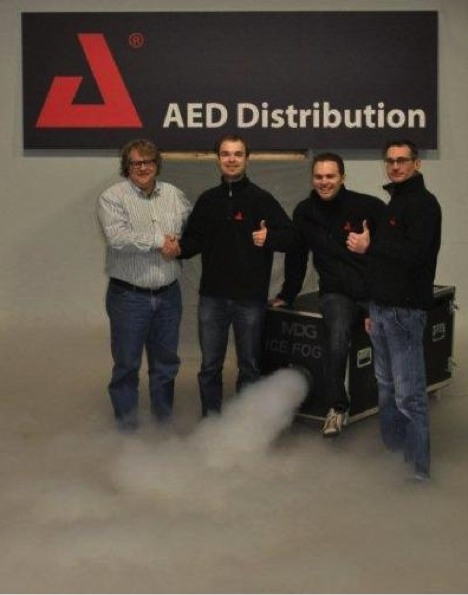 MDG, the world leader in atmospheric effects, is pleased to announce the appointment of AED Distribution as its official distributor in the Belgian and Luxemburg markets, with effect from 1st October 2011. Through this partnership, AED Distribution (part of AED group), will supply and support MDG's leading portfolio of fog and haze generators to resellers, installers and rental companies, which will now benefit from easier access to MDG's reliable quality products. "MDG is proud to partner up with AED Distribution for the Belgian and Luxemburg market and welcomes AED Group to the MDG family," states MDG President & CEO Martin Michaud. "AED's perpetual quest for excellence, their personalized service and the quality of their team and organization reflects values shared by both our companies." Established in Mechelen, Belgium in 1977, AED Distribution distributes top professional brands across the Benelux countries, carefully screening all products before taking them into their range. AED Distribution works closely with the best dealers, installers and rental companies to provide the highest level of service. "We are very pleased to be partnering with MDG, which is a world leader in professional fog and haze generators," states Hans Vanderheijden, Managing Director of AED Distribution. "AED Distribution is constantly looking for more products that bring value to the customer. MDG's are exactly such products, made for, and used by, professionals. "As an extra bonus, our clients will not only be able to buy MDG at AED Distribution, but our sister company, AED Rent, will also add MDG products to its rental catalogue." "The addition of our products to AED Rent's catalogue will strengthen both our positions as the leading atmospheric effect providers for the European entertainment rental industry," adds Michaud. "In my mind, it's a perfect match and the natural evolution." Founded in 1986 as a dry-hire rental company for sound, AED Rent is one of the key European market players in lighting, sound, video, trussing, rigging and accessories for the professional audiovisual industry. "We are truly excited about the partnership with MDG and AED Distribution," says Steven Mansvelt, Light Department Manager at AED Rent. "Logically, we will buy and promote MDG products. Without any doubts, MDG is a market leader and we're pleased to add state-of-the-art fog and haze generators to our rental program. MDG products do not need many 'words': they are typical products that add serious value to our rental catalogue." thetheONE’s revolutionary technology means this, fully digital, atmospheric generator, is capable of creating both fog and haze effects from the one source. Kylie Aphrodite – Les Folies World Tour at the Nokia Theatre, Dallas, Texas (Photo from George Masek). After debuting with Celine Dion (Taking Chances World Tour 2009), Britney Spears (The Circus World Tour 2009), Kylie Minogue (US Tour 2010), Microsoft (Kinect CDS launch 2010) and Victoria’s Secret (2010), the MDG theONE™ atmospheric generator has completed another international assignment with Kylie Minogue’s Aphrodite – Les Folies World Tour 2011, which draws to a conclusion in South Africa this week. Four of the ground-breaking theONEgenerators have accompanied Miss Minogue across 28 countries, augmented by four MDG Ice Fog QTM Low Lying Fog Generators, to produce the spectacular atmospherics which underpinned the tour’s distinctive look. The MDG units were supplied for the European and North American legs by the tour’s lighting, video and sound supplier, Solotech. They were supplied at the request of lighting designer, Nick Waterhouse, who was careful to specify theONE for the demanding 77-date, six month tour. theONE’s revolutionary technology means this, fully digital, atmospheric generator, is capable of creating both fog and haze effects from the one source. It is also the first atmospheric generator with networking capability and, uniquely, can be operated via DMX, RDM, ACN, ETC-Net or Art-Net. These features ensure a fine, remote control over output, and gradual, seamless switching between haze and fog modes. MDG Fog has responded to these plaudits by perfecting a touring cradle for theONE, which is the first to provide fully-approved rigging options and uniquely fits all known sizes of 9kg gas (CO2 or N2) bottles. These unique features that ensure theONE is the only atmospheric generator you will ever need, on tour or at home. Solotech’s Gaudreau has worked with MDG Fog on developing the DMX version of theONE so is well qualified to insist on using MDG atmospheric generators on his projects. He was extremely satisfied with the way the new cradle performed on the Aphrodite tour: “The newly refined design of theONE’s cradle is ideal for touring,” he says. “It gives us many more options for safely rigging the units and is strong enough to withstand the demands of an international tour. The cradle is set on wheels for easy transportation, making it especially fit for ready-to-go touring conditions. “I find it is very user-friendly and, with its universal voltage rating, theONE is perfect for both international touring and for the rental side of our business. 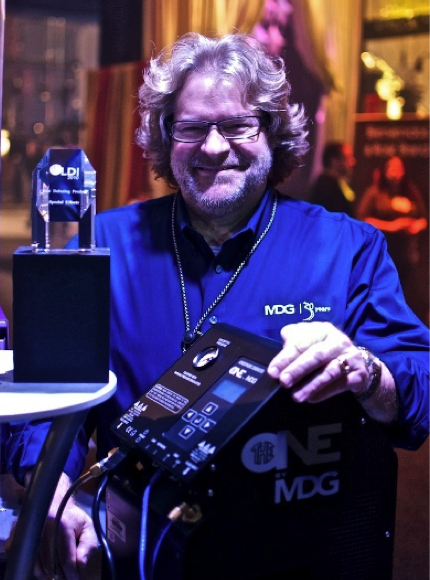 MDG Fog took home the Best Debuting Product Award at LDI this year with the latest product, theONE. It’s not wonder why, this thing spits out fog or haze like no ones business! Just take a look at the tour edition of the thing with CO2 canisters attached, it looks mean and ready to smoke you out. In fog mode, theONE can spit out 10 hours, yes 10 HOURS of continues fog.. But it gets better, it Haze Mode, 308 HOURS all while consuming just 1415 watts of power. There is a good reason MDG is calling this thing theONE, it’s the last one you’ll ever need! Martin Michaud, President of MDG Fog gave me a quick run down and demo of both the touring edition of theONE and the stand alone version. Take a look and let me know what you think. Will this be the last one you’ll ever need?